Every week, I curate content from some of my favourite blogs. I share the things that pique my interest. The things that make me go ‘oooh, that’s useful’. Things that make me go ‘dammit, not another algorithm change’. You get the picture. I do this through Buffer. One of my favourite tools. The beauty of Buffer is that it gives you some pretty cool analytics that show me which of the posts I share are the most popular. And from this, my friends, I’m able to compile the top 5 popular posts of the week. If you play buzzword bingo, you’ll love this. Put ‘Storytelling’ and ‘Infographic’ together and you’ll always have a winner. This isn’t too bad tho. Nice, simplified explanation of the importance of storytelling in what we do: USING STORYTELLING TO ENGAGE AND PERSUADE. Analytics. It’s a bloody minefield. Clients rarely do it. Agencies try to, but most fail. I’m not surprised this was popular: 10 ANALYTICS MISTAKES I LEARNED THE HARD WAY (SO YOU DON’T HAVE TO). 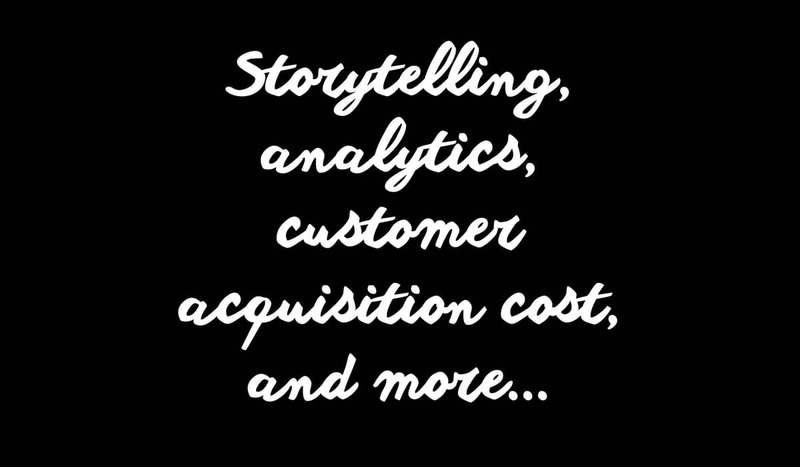 Well this follows on nicely from number 2: CUSTOMER ACQUISITION COST: THE ONE METRIC THAT CAN DETERMINE YOUR COMPANY’S FATE. This is REALLY useful. If you use imagery (and if not, why the HELL aren’t you doing this?? ), this is for you: A DETAILED GUIDE TO PHOTO AND IMAGE SIZES ON FACEBOOK, TWITTER, YOUTUBE AND MORE. For you bloggers. Or if you’re thinking about blogging: HOW TO ANALYSE YOUR BLOG POSTS: A BEGINNERS GUIDE. I hope there’s something useful in there. See you next week.